We live in a region with abundant coastal resources, diverse environmental challenges, and a complex institutional landscape. 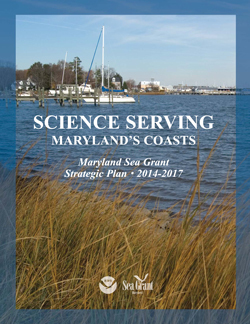 In order for Maryland Sea Grant to serve this region effectively, we place importance on developing and adhering to a sound strategic plan. 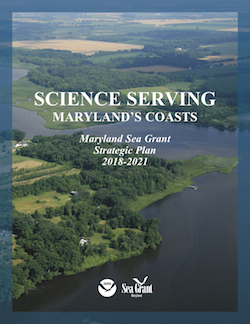 To develop the foundation for our strategic planning, we have engaged stakeholders representing a wide spectrum of Maryland’s coastal communities and interests. Synthesizing their input, we identified clear priorities. 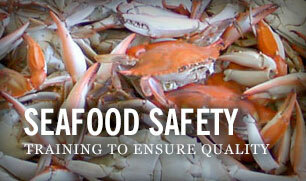 These priorities are aligned with overarching themes articulated by the National Oceanic and Atmospheric Administration (NOAA), one of our major funders, and with regional and national needs brought to the forefront by broader policy analyses. Our strategic plans are both a catalyst to foster achievement and a guide for program evaluation. They represent our commitment to excellence in all aspects of our program. Our plan encompasses four focus areas and contains specific outcomes and strategies that allow us to accurately measure progress.